​Help! I’m drowning in zucchini! How can I preserve some for later? If you ask me, freezing is my favorite method of preserving my harvest. Wonder how to freeze zucchini? You can freeze zucchini whole, sliced, shredded and spiralized. It’s so easy! 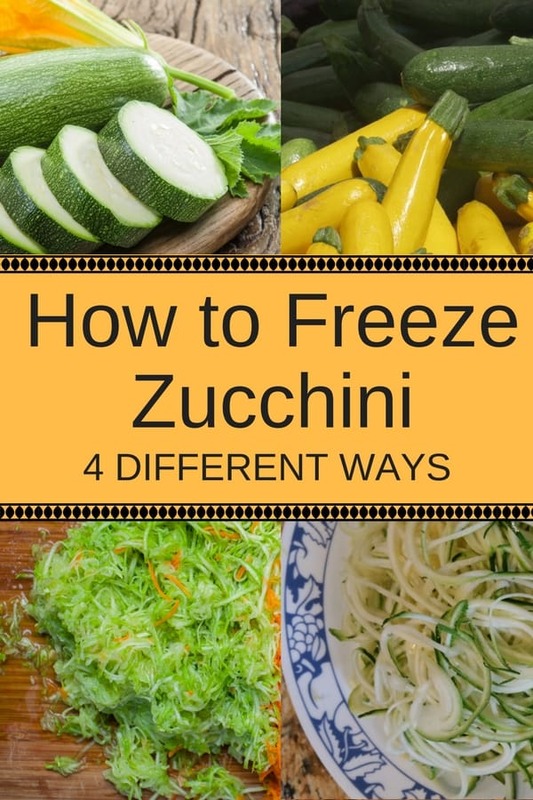 See below for details on every method of freezing zucchini. 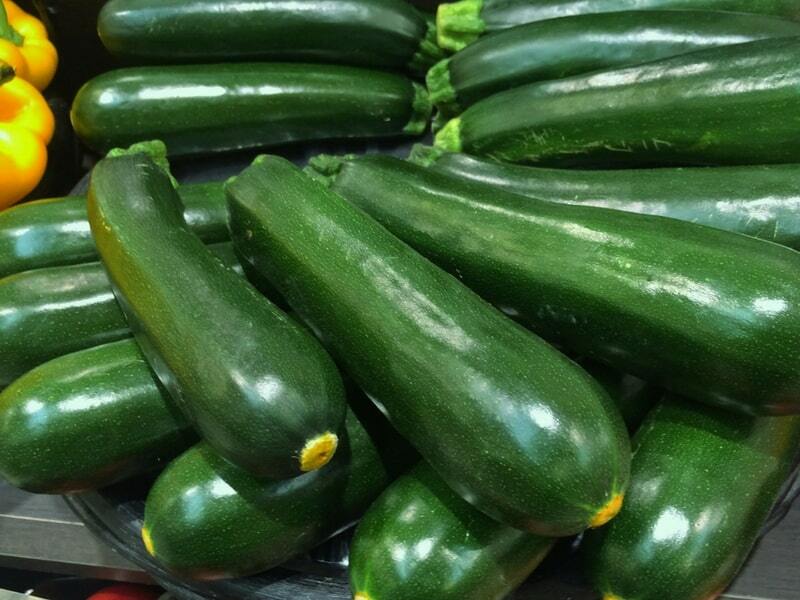 Zucchini is a very popular vegetable and a great one for gardeners to grow. It usually gives great yields too. So, if you end up with loads of summer zucchini, you might want to know what to do with it all so that it doesn’t go bad. Zucchini is very easy to grow and it has a long growing season. That means you may end up with a whole lot of it and you don’t want it to go to waste. Can I freeze zucchini without blanching? Good question! Many are unsure this is possible. The answer is: yes, you can! BUT… zucchini and squash frozen this way won’t last as long, and when thawed, it might feel mushy. 1. Can you freeze zucchini whole? If you’re busy and have too many zucchinis, you might be wondering if you can just freeze them whole. You sure can freeze your zucchini as is, if you plan to use them in a couple months. Freezing zucchini whole isn’t the best way to preserve them, and it’ll be harder to use them when thawed. But sometimes we need to do it to save the zucchini. Large freezer bags work well for storing them, preventing freezer burn, and making it easy to pull them out later when you need them. What can you do with whole (or sliced in big chunks) frozen zucchini? Not too many things, but here are some ideas. Make a cream of zucchini soup, a sauce for pasta or mashed potatoes, or roughly chop them up (after thawing) and add them to a veggie soup. Interesting fact: Did you know that luffa gourds taste just like zucchini when picked very young? 2. Can you freeze zucchini halves? 3. Can you freeze zucchini slices? Freezing sliced zucchini is better than freezing them whole. This way they’ll take less space in the freezer, and be ready for cooking once thawed out. However, just like many other vegetables, zucchini has enzymes that will deplete the nutrients in it over time. It will also soften and discolor the vegetable. So, you should blanch the zucchini first. Blanching is really just a very quick bath in boiling water, followed by a dip in iced water. 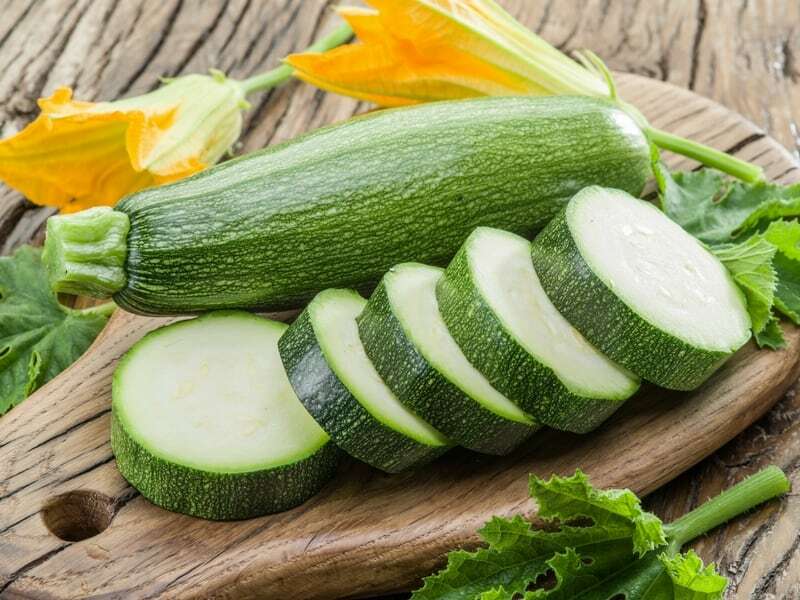 The blanching process will destroy the enzymes, as well as any other bacteria that might be lurking around on your zucchini. Once you’ve blanched, you’re ready to put them in the freezer. Portion them out into pint or quart sized freezer baggies and freeze them. It just makes it easier to store them and they take up less space in the freezer when placed in there properly. 4. Can you freeze zucchini noodles (also called zucchini zoodles)? Another great idea is to freeze your zucchini noodles. 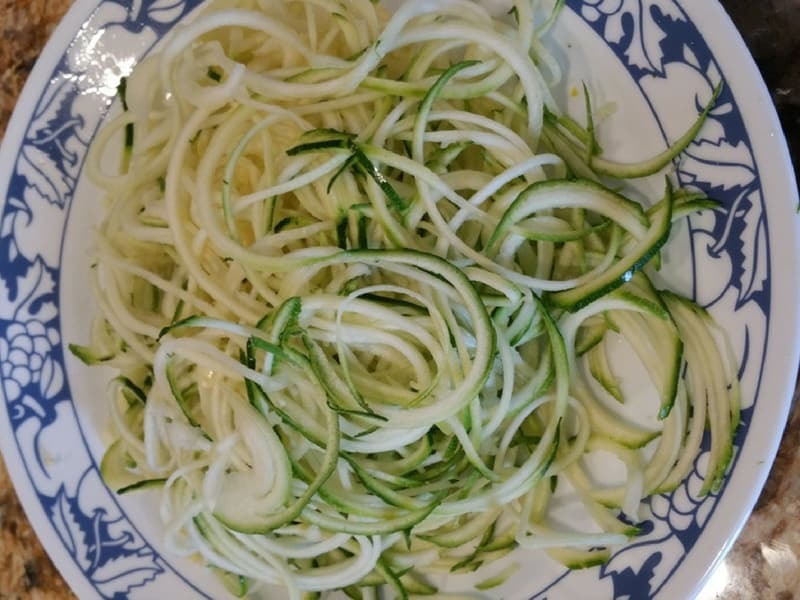 Start out by making your zoodles with a spiralizer (I use and LOVE this one), then salt them and let them drain in a colander for a few minutes. Soak up the liquid with a paper towel and then store them in a single serving container. Then when you’re ready for some zucchini pasta, you just pull them out, put the frozen zoodles in a colander and immerse it into boiling water for a minute or two: and they’re ready to eat! 5. Can you freeze shredded zucchini ? You can definitely freeze shredded zucchini. BTW, if you shred a lot of vegetables you should get a small food processor. I promise you won’t regret this decision. You’ll save your arms (it gets tiring to shred 10 zucchinis), and a lot of time. It takes less then 20 seconds to shred a zucchini. Once shredded, portion the zucchini out into small bags and stack them up in the freezer. 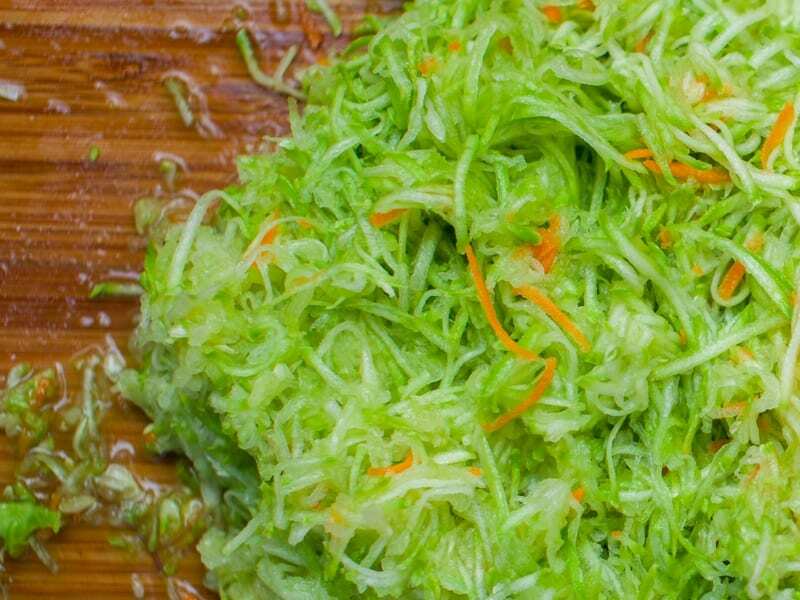 Think ahead to what you’ll be using the frozen shredded zucchini for and choose the right size container. Frozen shredded veggies will bunch up into one clump and if you don’t need that much, it will be difficult (if not impossible) to separate just how much you need from a frozen chunk. Freeze zucchini puree – just saute or steam your zucchini, puree it and freeze. You can use this to make baby food, add it to mashed potatoes, soups and sauces. Made some zucchini tots? Freeze some for later. When you’re in the mood, just pop them into the oven for a few minutes to crisp up and enjoy! Cook more than you need and freeze the cooked zucchini. I froze zucchini soup, and roasted zucchini: delicious! 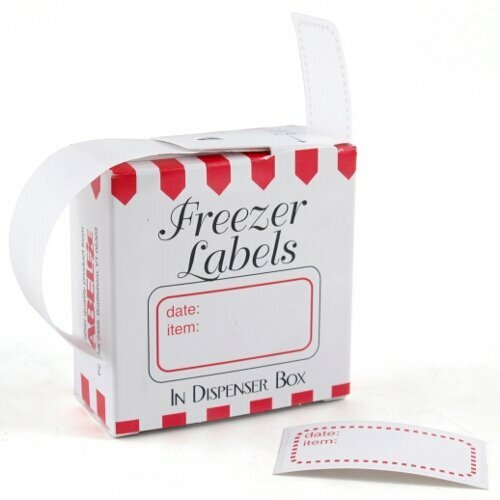 Freezer Labels with Red Border, 2 pack (Set of 200) No matter how you freeze your zucchini, I highly recommend writing the date on the outside of the freezer bag. This is very important, especially if you’re making different batches on different days. You will want to eat it in order. Some people also like to put the way it’s prepared on the bag – whole, slices, shredded, etc. – because once frozen it will all look about the same. It’ll also make it easier when sorting through a bunch of frozen goods to find what you need for a recipe. 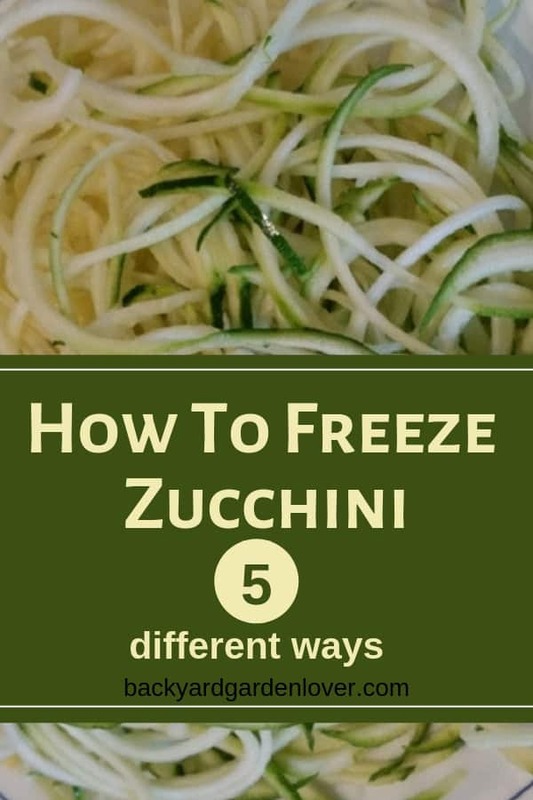 Now you know so much more about freezing zucchini and you are ready to give it a try for yourself. When you’re ready to thaw and use your frozen zucchini, it’s best when served with other veggies. You could put it in a soup, or use it for a pasta sauce. It doesn’t always work as well in stir-fries, or steamed veggie dishes once it’s been frozen. Learn how to freeze other fresh produce. There are so many different ways to cook zucchini, you will never run out of ways to make it. Ohhh…. watch this video till the end for a delicious recipe: YUM! This is only the tip of the iceberg. There are so many wonderful things you can do now that you know how to freeze zucchini! Under #2 freezing zucchini as slices, it mentions blanching before freezing. Do you recommend blanching for #4–freezing as shreds? Susan, it’s probbaly best if you blanch them no matter how you freeze them, just because they keep better. But if you’re planning to use them soon (lees than a couple months after freezing), you can do it without. 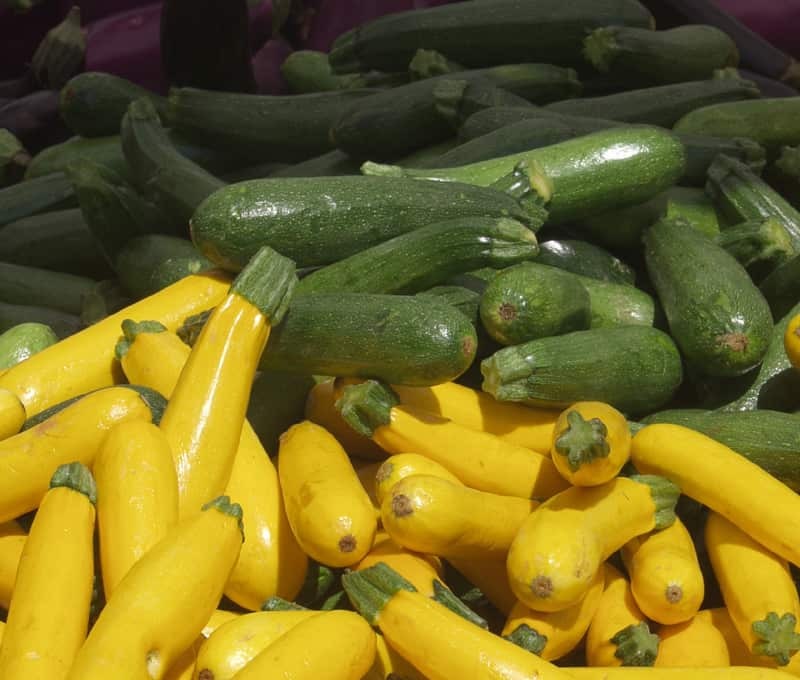 Can you blanch summer squash and freeze like zucchini? It depends on which method you use. Sliced or cubed, do it for a couple minutes. Shredded and zoodles, 30 to 60 seconds. How much salt would you add to your zoodles? If you freeze them whole could you turn them into zoodles after thawed? After freezing can you fry the zucchini ? I never tried it. I think the zucchini might be too soft and squishy to fry. If you try, please come back and let us know how it went. I fry my fresh zucchini as well as my frozen zucchini. I use slices or chunks. Boil in a little water till soft, drain, add some cream(or half/half), some butter, and shredded cheese over the top. Cook until cheese is melted. My family loves this vegetable dish. Yes, frozen zucchini is vest used in soups and baking. After blanching freezing sliced zucchini, are you able to grill it or will it be too mushy? Yes, you need to make the noodles first. I slice my zucchini bread it and freeze it single layer (fresh not cooked). Straight to hot pan, no defrosting works well. My zucchini is long, dense and hard to slice. Is it still good for cooking? For zoodles, do you have to salt if you are going to blanch? I am making zucchini relish in a few weeks but have the zucchini’s now. I usually salt the grated zucchini and then wash and drain. Should l do this before freezing? Kelly, i personally woulnd’t do that. You lose a lot of the nutrients when you wash out the juice.